Leave it to John Traxler to get me thinking! In his keynote address at mLearn 2014, Traxler used the Mona Lisa as an analogy for the disconnect between mLearning research and practice, and policy makers' expectations. He described policy makers' expectations as getting the full, big picture. A completed Mona Lisa. 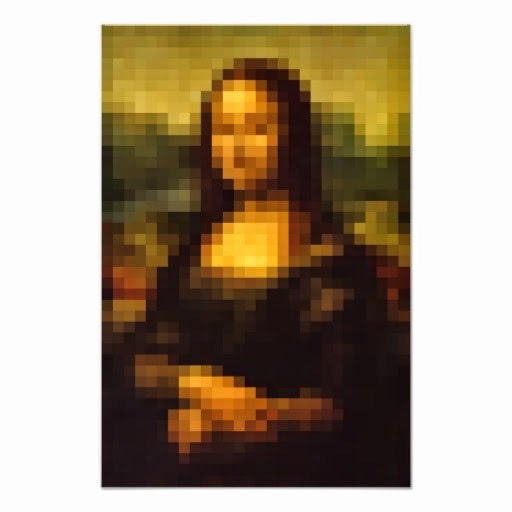 In contrast, researchers and practitioners are busy working on small clusters of a pixelated version of the famous masterpiece. What I think Traxler meant was that researchers and practitioners are still trying to figure out all of those little pieces, and how they need to fit together. But I think that this Mona Lisa analogy can be taken much deeper. First, we can comment on size. Literally and figuratively. 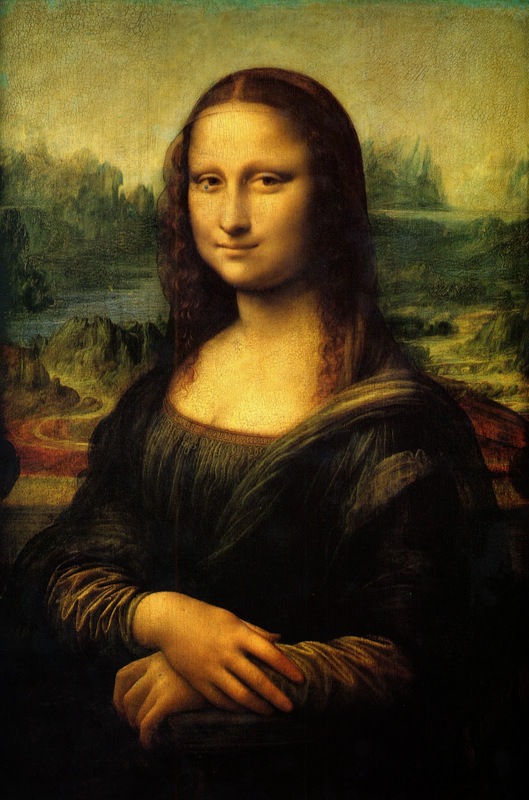 Many people have the misconception that the Mona Lisa is a physically large painting. In reality, it is actually rather small. It is small, but it is flawless and beautiful, and it has had a huge cultural impact. Just like mobile devices, and mLearning apps and applications. We can also talk about the details. The Mona Lisa is a masterpiece of painting skill. It was created using countless paint strokes that were brought together to create a whole picture. And DaVinci may have made, and corrected mistakes along the way. It is believed that there are details in the background of that painting that were changed, or painted over, to remove from the final product. That really does reflect the process of bringing all of the little technical, instructional design, and content pieces together to create even a single example of an mLearning application. What's more, there is no formula for getting a perfect mLearning big picture every time. The Mona Lisa is a work of art. Yes, there is science behind painting portraites. There is science behind mixing colorful and durable paints, behind creating (and preserving) canvases, behind picking a suitable topic and model, and behind the brushstrokes themselves. But there is a difference between mastering the specific techniques, and having the vision and talent to produce a masterpiece. Not every painter can do it. And even those who can don't produce a masterpiece every time. It takes as much art as it does science. And art involves experimentation and risk. 1. It takes a lot of little elements to create a while picture, and those little elements are difficult to master. 2. There is no formula for putting all of those little pieces together. It's as much art as it is science. 3. It's even more difficult to produce a masterpiece. And even if you can, it still won't suit every possible audience. 4. The tecniques used to create a masterpiece like the Mona Lisa were developed over millenia... and just because they came together perfectly once, doesn't mean that we're now universally able to reproduce the phenomena. What does this analogy mean for researchers, practitioners, and policy makers? Don't expect perfection. Don't demand it. It's not possible to predict. But, just like paintings, it is worth experimenting with the little pieces of both the science and the art. Let the researchers and practitioners have the room to create firm, function, beauty, and cultural and contextual relevance. These are just some thoughts after attending John Traxler's keynote presentation at mLearn 2014.